Choosing a good protein powder is tricky, especially if you are a woman. Many people think that protein powders are only for men who want to bulk up. But did you know that protein powders help in weight loss and muscle toning? Moreover, they are a great alternative if you do not get enough protein from whole food sources. 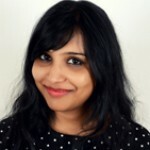 So, discard your prejudices and get your hands on THE BEST protein powders for women. I have listed them below. Keep reading! Egg whites are low in calories and loaded with protein. 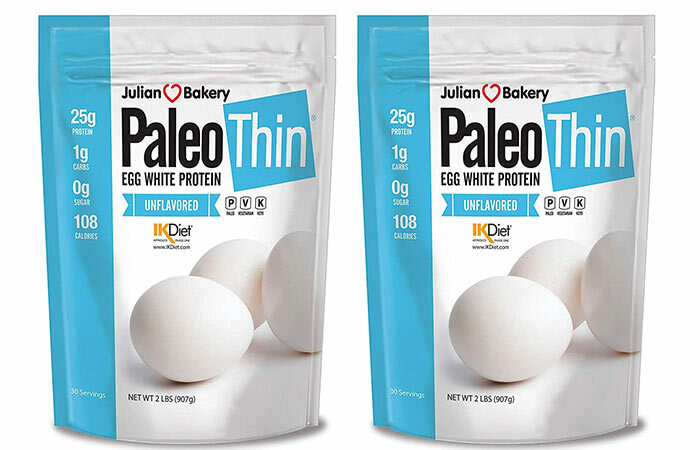 Egg whites are healthier than whole eggs as they contain lesser fat and cholesterol. If you cannot make yourself an egg white scramble, you can get an equal amount of protein from egg white protein powder. Here’s what we recommend. Might not be suitable if you are allergic to eggs. Whey protein is the by-product of the cheesemaking process, where the milk solids separate, leaving behind a greenish liquid. It has 9 essential amino acids and is low in lactose. 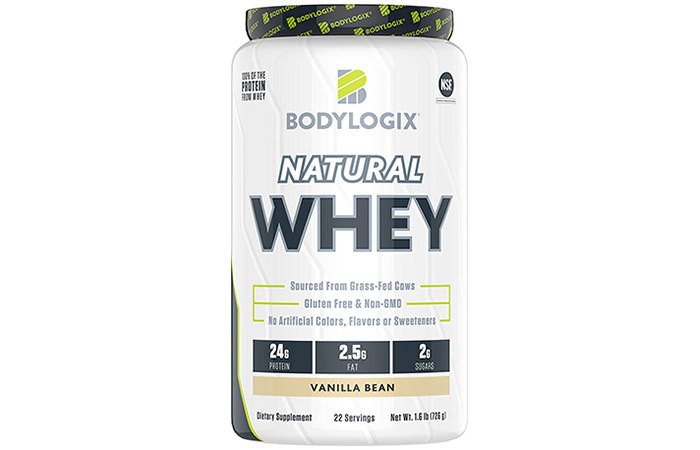 Whey contains a mix of bovine serum albumin, beta-lactoglobulin, alpha-lactalbumin, and immunoglobulins. Here’s the whey protein we recommend for you. There are many vegan protein replacement supplements available on the market now. Vegans generally do not get all the essential amino acids only from plant whole food sources. So, it makes sense to meet your body’s protein requirements by consuming protein powders that contain all the amino acids. Of course, the proteins are sourced from plants. Here’s one of the best vegan protein powders. Not meant if you are pregnant, nursing, anticipating surgery, or are on any medication. If you are on a diet that requires you to count calories and maintain a certain calorie intake per day, low-calorie protein powders should be your choice. You will get a good amount of protein without consuming too many calories! Here’s the one we recommend. Check for allergens before consuming. Avoid using if you are pregnant or nursing. Hemp protein is obtained from the Cannabis sativa plant. It is a rich source of protein, low in sugar, and high in fiber. 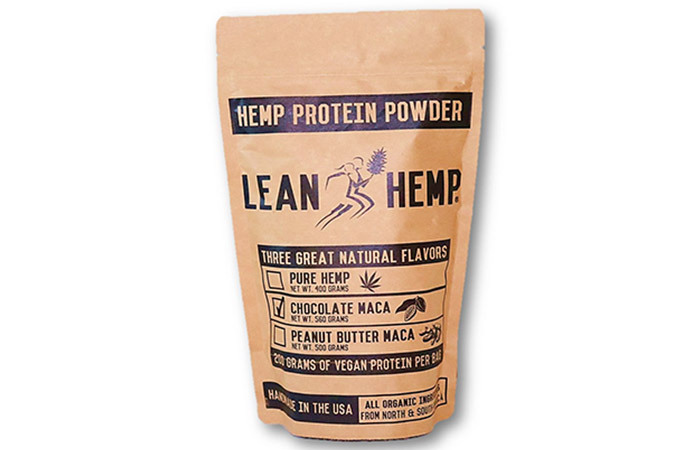 If you are lactose intolerant, hemp protein is your best bet. Here’s what we recommend. Brown rice protein is a great choice if you are vegan or vegetarian. Brown rice is a great source of protein, dietary fiber, vitamins, and minerals that help in building lean muscle mass (i.e., help you look toned), increase satiety, and re-energize your body. 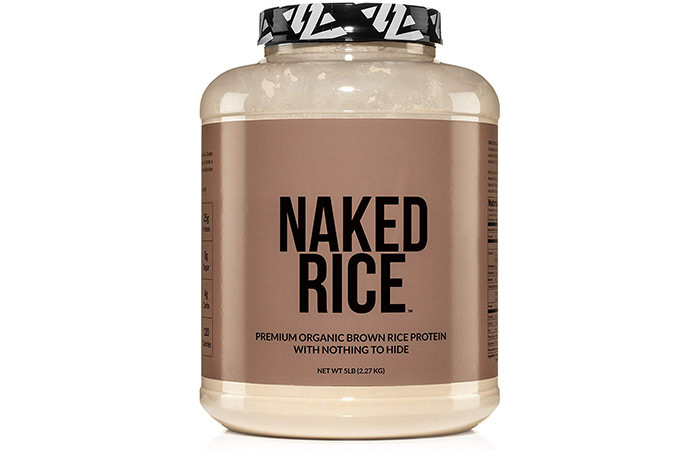 Here’s the brown rice protein powder we recommend for you. Can cause reactions if you are allergic to brown rice. Avoid it if you are pregnant or nursing. Casein is a slow digesting milk protein found in the solid parts during the cheese making process. It helps in muscle toning and is extremely helpful if you workout regularly. 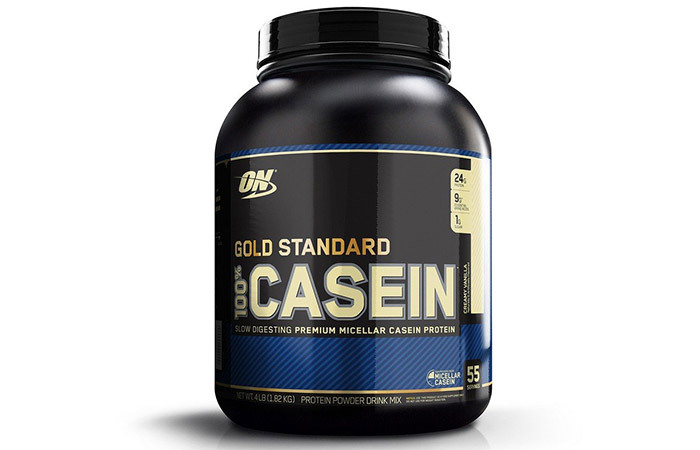 Here’s the casein protein powder that we recommend consuming. Avoid using if you are lactose sensitive. Dissolve it properly and drink slowly to prevent choking. Pea protein is an excellent source of protein for vegans and those who cannot tolerate animal proteins. Pea protein is made from dried yellow peas. It aids weight loss and helps in building lean muscle. It is also hypoallergenic, so, for most people, it is safe to use. But if you are allergic to peas, avoid using it. 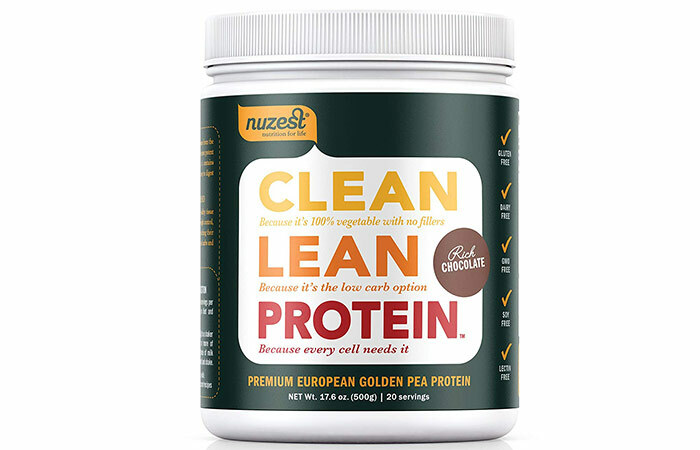 Here’s the pea protein we recommend for you. Making bone broth is a time-consuming process. But it is highly nutritious and good for weight loss and your skin. 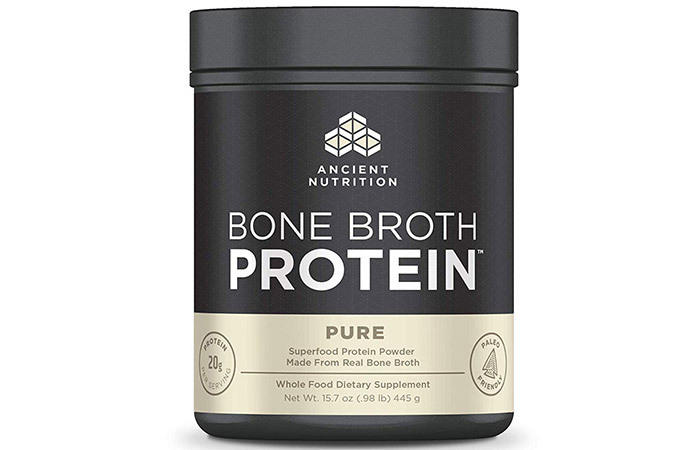 If you do not have time to prepare bone broth at home, consume bone broth powder. Here’s the one that we recommend. 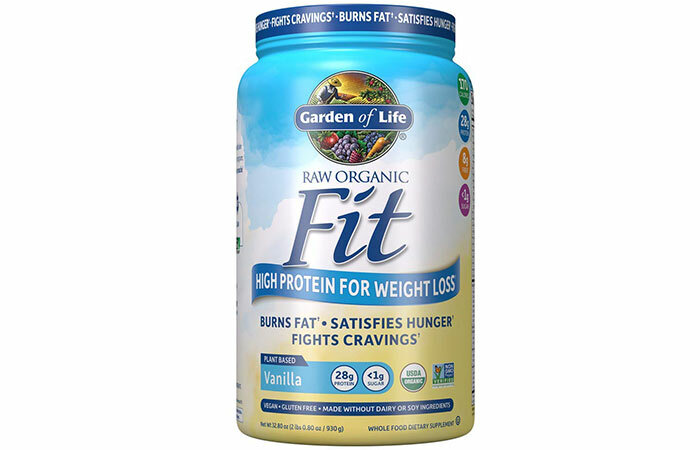 Meal replacement protein powders are best for weight loss. The mantra is to avoid consuming any solid food for say, lunch. 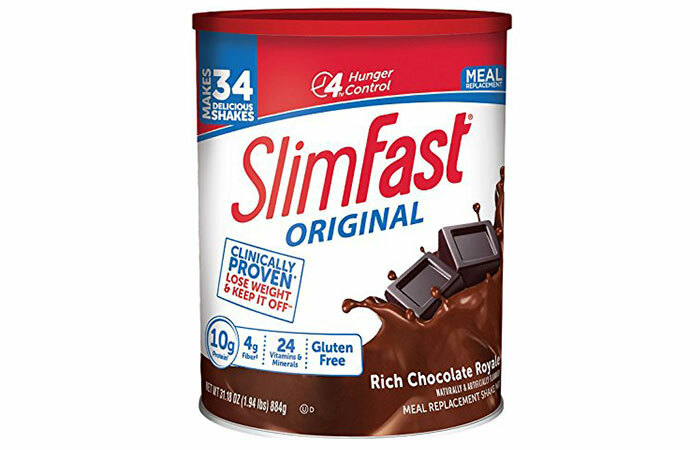 Instead, have a meal replacement protein that will help you burn fat and keep you satiated at the same time. Here’s the meal replacement protein powder we recommend. There you have it – 10 best protein powders that you can consume with water, milk, almond milk, and soy milk. You may also add them to pancake and cake mixes and enhance the protein content of a delicious breakfast or dessert. Make sure to talk to your doctor and fitness trainer before you consume any of these protein powders. They will help you select the best protein powder for you and also fine-tune the dose. Remember, protein powders are not only for men, and they will not make you look bulky. With that in mind, start consuming protein powder and look and feel your best. Take care!